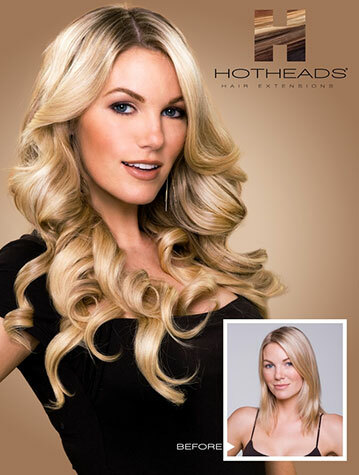 "Hotheads Hair Extensions are human hair, adhesive weft extensions that are applied without the need for tools or heat. Our goal was to create a revolutionary product for the salon professional that was simple… fast… and extraordinary; we have done just that. For clients, our products have completely changed the way their hair looks and how they feel about themselves. For stylists, this has completely evolved their extension business.﻿"
PURE hair extensions are made of the finest quality 100% Remy human hair; completely synthetic free, and their micro cylinder bonds are made from recyclable copper. The application process does not use any heat, glues, or waxes so there are no harmful fumes emitted or chemicals used. This process allows for the hair to be applied faster and last longer than traditional extensions... faster, safer, better.